The city of Billings is one of the largest in the state of Montana, and it is home to almost 200,000 residents. From rodeos to museums, Billings invites guests and residents to enjoy the beauty of this Montana town. Visit Moss Mansion, built in 1901, wander Zoo Montana, and celebrate the Museum of Women’s History all located in Billings. When a dental problem arises, Billings also offers a large selection of great holistic dentists. Each dentist is standing by to care for your gorgeous smile today. The Emergencydentistsusa.com website is a great choice for anyone seeking a new holistic dentist in Billings. Scroll through our hand-selected listing of Billings holistic dentists and click on the office that suits your needs. You can find important information like office hours, driving directions, and even insurances accepted right on the Emergencydentistsusa.com website. Select the dentist with services for your whole family or pick a specialist who can give you your very best smile. When you need a little more help picking out a great new Billings holistic dentist, just call our toll-free dentist finder hotline. Speak with a caring agent who can help you to select the right dentist for your dental issues, set up your first appointment, and even give you driving directions if needed. Remember to bring your photo ID card and dental insurance card with you to your new Billings holistic dentist’s office. Arrive early so that you can fill out the new patient paperwork and ask any questions that you might have for the dentist. Visitors to Billings have plenty to do and see while they wander this western city. Take a look below to see our top three holistic dentists in the city of Billings. Description: With three friendly dentists and a caring office staff, Turley Dental Care caters to your dental needs. Each dentist is certified in Fastbraces Technology, making this dental office a perfect choice for anyone seeking an orthodontist. New patients are always welcome, and discounts are available for new patient services. 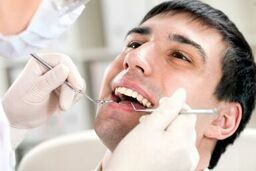 Description: With a guarantee that you will have your dental problem address today, Brewer Dental Center makes handling a dental emergency a breeze. See one of several excellent dentists, brighten your smile, and receive top notch dental care in this full-service dental center. Cosmetic, restorative, and family dentistry are all available at Brewer Dental Center. Description: Exceptional dentistry that creates an extraordinary smile is what makes Bridge Creek Dental a favorite in Billings. This full-service dental clinic offers family, cosmetic, and restorative care in a holistic setting. Fillings, implants, and veneers help to create that perfectly brilliant smile. When you select a holistic dentist in Billings, you are making a statement about your health care. A holistic dentist is a great choice for anyone who is interested in knowing exactly what goes into their dental journey, including which chemicals and materials are used for dental restoration. A holistic dentist often removes amalgam fillings and replaces them with a biocompatible alternative. You can choose services like cosmetic dentistry, restorative care, family dentistry, and orthodontics when you select a holistic dentist in Billings. The Montana Dental Association website is always standing by to give you the current licensing and credentials of any dentist that you choose. Just log onto the website and enter your dentist’s name into the search box. View documents that include licensing and credentials for each dentist in the state of Montana. You can also find this information by visiting your dental clinic. Most dentists keep this type of licensing and credentialing on display for their patients to see.